Mr. Herlands received his undergraduate degree from Columbia University and his law degree from Columbia Law School, where he was designated a Harlan Fiske Stone Scholar. Mr. Herlands heads the firm's Trusts and Estates Department and lectures extensively on estate planning and administration. 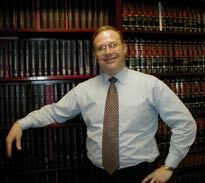 Prior to joining the firm, Mr. Herlands chaired the Trusts and Estates Department at Herzfeld & Rubin, P.C. His clients encompass high net worth individuals and families in business, entertainment, sports, the arts, sciences and the professions. In addition to his professional endeavors, Mr. Herlands is a Director or Trustee of numerous charitable institutions, including several foundations. Send mail to Jonathan Herlands.